Today the weather is confusing me a lot! It was sunny, then rainy, then foggy and now its sunny again! I wore this beautiful crochet bag and red rosette flower headband from Natbeesfashion shop. There is a 10% off sales discount until the end of May in case you are interested in buying a gorgeous headband or crochet bag. Its those little things that make an outfit look so special, dont you think? 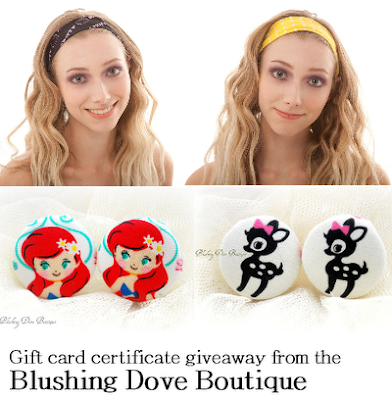 And now the exciting news….today I’m hosting a giveaway from the lovely Blushind Dove Boutique. The giveaway is a card certificate of £10! The prices of the shop are very affordable, so with that amount you can buy at least two pairs of earrings! Please leave a separate comment for each extra entry. A winner will be chosen randomly and will be announced on Monday 30 of April. Next Post Personal style // Simple as it gets..